Kevin Feige, president of Marvel Studios, has recently confirmed that there will soon be at least 2 LGBTQ+ characters joining the MCU–one of which we’ve already seen onscreen! While I’m 99.99% sure it’s Valkyrie (please), I’ll patiently wait for an official announcement (buuuut I’m pretty sure it’s Valkyrie). Aside from her, there are countless other superheroes and mutants in the comics that deserve to be portrayed on the big screen! She’s pretty much our safest guess which puts her at number 6. I’m so hyped for them to reveal her sexuality (and I really hope that reveal is directed by Taika Waititi because I want him to direct every part of my day). Here are the others we’d love to see, too! Of course. The queen herself is on this list! I’m pretty sure I’m not alone when I say that if she kicked me in the face, I’d probably say “thank you.” She’s that cool. And, while watching Thor: Ragnarok, I was pretty sure she and her fellow Valkyrie were a thing. I like it. Also, she’d fulfill Feige’s words about how one of the characters they’ll reveal as LGBTQ+ is already someone we’ve met! Wiccan–or Billy Kaplan–is another member of the Young Avengers. He’s technically the son of Scarlet Witch, Wanda Maximoff. His abilities are patterned after hers. He’s strong enough that he even, eventually, takes the role of Sorcerer Supreme from Dr. Stephen Strange. 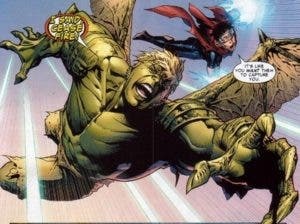 He’s in an openly gay relationship with Hulkling and we hope Marvel would consider exploring their dynamic! 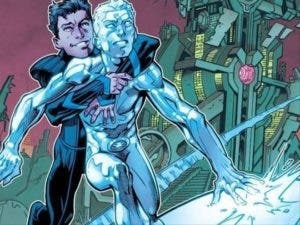 Bobby Drake, better known as Iceman, had repressed his true self because he “didn’t want to be gay and a mutant.” That broke my heart, fam. While he’s represented in the X-Men films already, we’re wondering if Marvel will get around to re-thinking his character. We hope so! Karma (or Xi’an Coy Manh) is another mutant, one who has psionic powers. 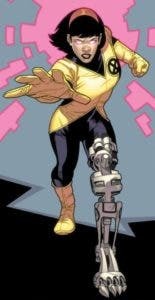 She’s one of the leaders of the New Mutants and has come out as a lesbian. The Vietnamese mind master would also be a refreshing onscreen presence as her telekinetic abilities are interesting. We’d love to see her in a movie! 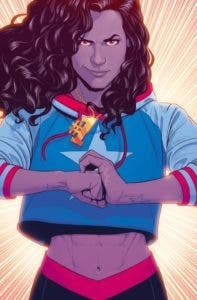 America Chavez or Miss America is the queer Latin-American heroine we always needed. She’s physically super strong, can fly, and super fast. And she was a member of A-Force, an all-female Avengers team. Which means she’s a queen and I stan her immediately. I wish her and her girlfriend well. Are there any other LGBTQ superheroes you’d like to see? Let us know!